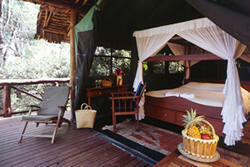 Mara Intrepids is the most talked about destination in the world�s most talked about wilderness. 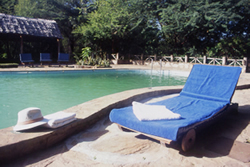 Sitting above a sweeping bend in the Talek River, at the confluence of the Maasai Mara�s four game-viewing areas, the camp enjoys one of the most spectacular locations in the entire Mara ecosystem. Intrepids is a short drive from the Mara River, where up to one-and-a-half million wildebeest and zebra make their perilous migration crossing every July and August. 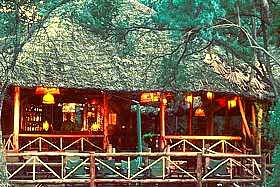 The camp itself is divided into four distinct areas, with separate dining areas and �mess tents� ensuring exclusivity for larger groups travelling together. An Intrepids safari offers a unique game-viewing adventure, including three daily game drives with our experienced guides, educational outings with our famous Adventurers� Club, and trips to Maasai villages where we support several community development projects. 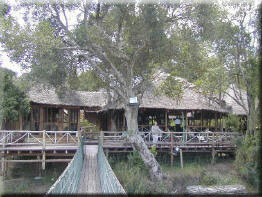 - Small riverfront dining areas with private catering. - Reliable telephone, e-mail, fax and postal services.